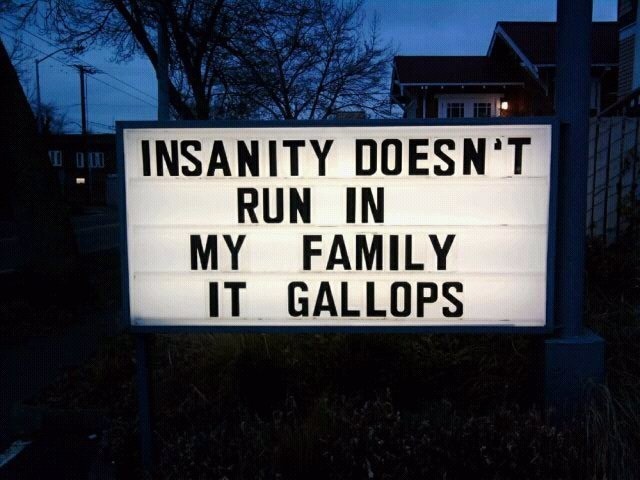 Can't say horse-craziness is a familial trait in my case, but what a great sign! Somehow it suits most of us to some degree. !*^#$@! That's awesome; beyond awesome actually. This is a line Cary Grant speaks from the movie "Arsenic and Old Lace". P.S. I love that movie! So funny ... will spread it.